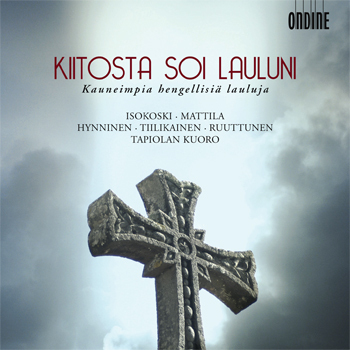 This double CD (for the price of one) compiles beautiful religious songs that mostly every Finn has been familiar with since early childhood, such as traditional Finnish hymns, classical art songs, and timeless Church songs. Sacred music is a perfect match for the typical Finnish soul. Not only does it lift up Finnish people's hearts, but it plays a significant social function within their home, school, and church communities. the Tapiola Choir led by Kari Ala-Pöllänen (CD1: 1-3, 15-17; CD2: 9-11, 18-20). Produced for the Finnish market, this CD is available internationally through this website only.